FISEM is a manufacturing company leader in the industrialization and production of polyurethane articles made according to drawing, of items made by polyurethane moulding and of technical items made by blow-moulding. Quality, innovation, flexibility are the foundation of the company concept which allows a constant growth and the satisfaction of many prestigious customers. 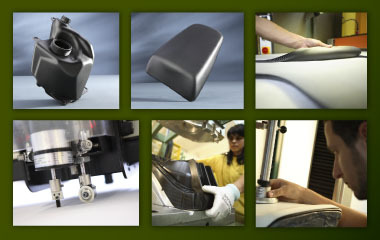 Equipped with cutting edge instruments and technology, FISEM is able to cooperate with the customer from designing to optimized production of many items like motorcycle seats, plastic tanks, electrical household appliance, upholstery for campers and carriages, seats for gym benches and for other training equipment. Particularly active in the automotive sector, FISEM has created ONEFUN, its own Motorcycle Accessory Line and in the last years the company has widened its product commercialisation in many different industrial fields.